Over the summer, a friend swapped out the old bar stools at her kitchen peninsula with new counter-height stools. She never realized that her family had been sitting on taller-than-necessary stools for years, and was surprised by the difference when she replaced her old bar stools. 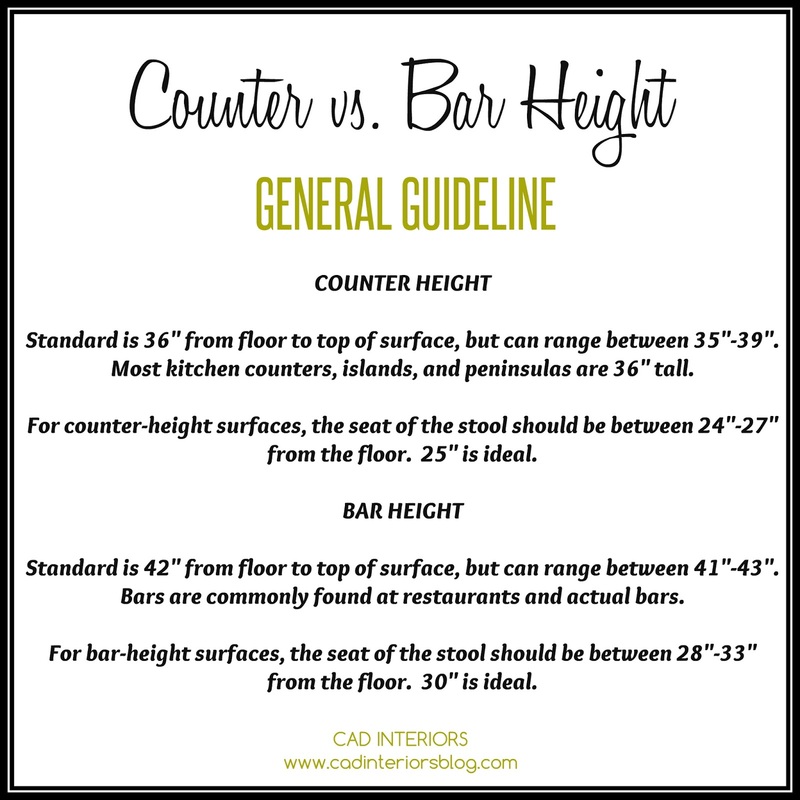 So, what is the difference between bar and counter-height stools, you may ask? I'll tell you. The difference has to do with seating height relative to surface height. Surface height is the height of your table/island/peninsula as measured from the floor to the top of the counter surface. Standard counter height is 36", but can range between 35"-39". Kitchen counters, islands, and peninsulas are usually 36" in height. 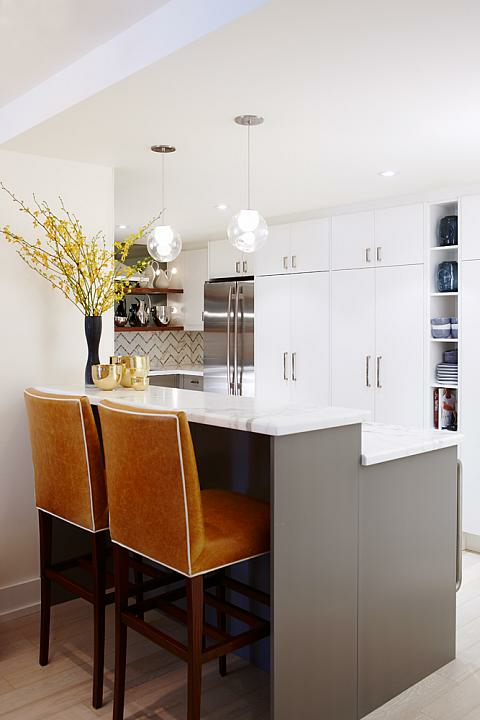 The range in counter (and bar) heights is dependent on the thickness of the countertop and the height of the base. 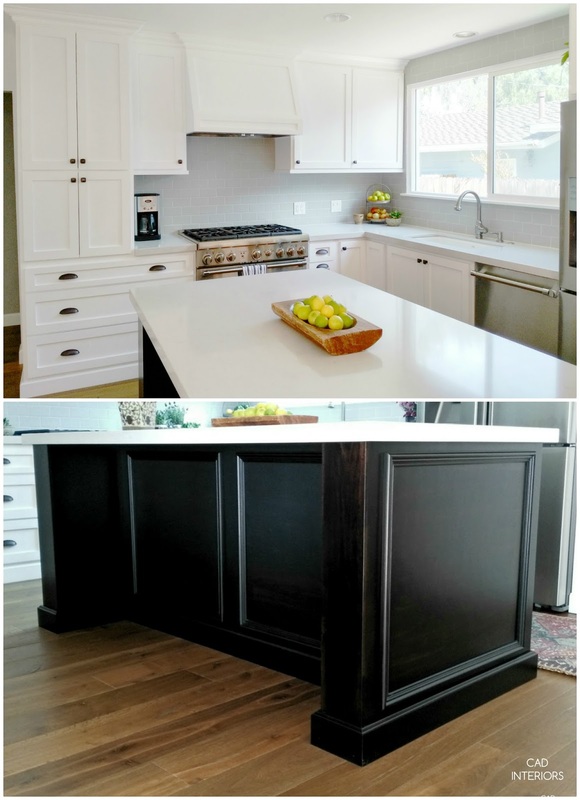 Our kitchen island and perimeter counters are 36" tall, which includes 2" thick solid quartz stone. The 2" thick stone (the minimum thickness I knew I wanted) was accounted for when our custom cabinets were built. Bar height is 42", but can range between 41"-43". Restaurants and actual bars typically have bar height surfaces. But I've also seen "dual level" peninsulas/islands in the home, where the "prep" surface is counter-height and the "eating" surface is bar height (or vice versa). Just as you would for a dining table (which is standard table height of 30"), the seating you choose for your specific "bar" needs should be suited to the height of the surface. Have you ever felt "too high" when sitting at an island? Perhaps your knees/thighs are skimming the underside of the countertop?! Stool height matters. Side note: I decided to wait and see everything come together with the kitchen wall before finalizing the purchase of our new counter stools. I am now undecided between having seat backs (my initial preference for comfort) or go backless!